You may schedule an appointment by either calling our office directly or by submitting the following appointment request form. Select a date & time range and we will confirm a time with you by email or phone. 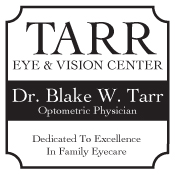 Copyright © 2005-2015 Tarr Eye and Vision Center.